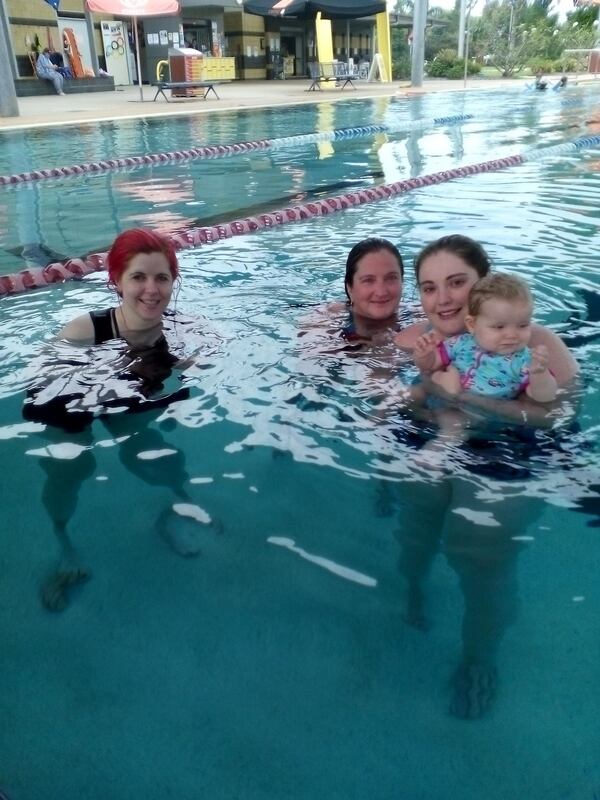 This shady lunch time swim is every Wednesday and is designed for mums with babies, toddlers and older children. You can go in the slow lane, fast lane or rehab/walk lane. We take turns looking after the kids so we all get a swim. Baby floaty device recommended so we can walk in the water and babysit at the same time. - Child status: Babies, toddlers and older children welcome. An early lunch before the swim and they will have a good afternoon nap after.